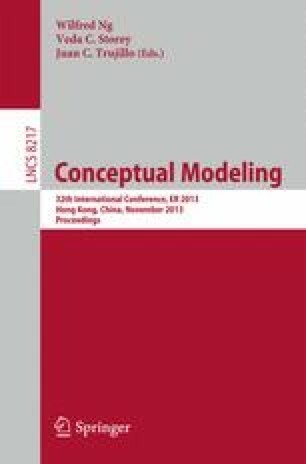 The conceptual modelling community not only has no clear, general agreement on what its models model, it also has no clear picture of what the available options and their implications are. One common claim is that models represent concepts, but there is no clear articulation of what the concepts are. This creates theoretical problems; for example, it is difficult to justify the accuracy of meta-models. It also creates practical problems; practitioners building a model of the ‘concept’ of a business will rationalise their decisions differently from those modelling the business itself, making resolving disagreement difficult. In contrast, philosophy has been researching this area for millennia and has developed, at the high level, a clear picture of the semantic landscape, particularly for concepts. This presents an opportunity to provide the conceptual modelling community with a ready-made framework for its semantic options. We start exploiting this opportunity, developing here an initial framework.